At the Pediatric SMA Clinical Research Center, a neurologist with expertise in SMA and pediatric neuromuscular disease conducts the SMA evaluation. The first step in being evaluated is to be examined by our team of physicians at the clinic. A thorough neurological examination will be conducted and previous tests reviewed. If indicated, additional diagnostic examinations (tests) may be recommended. 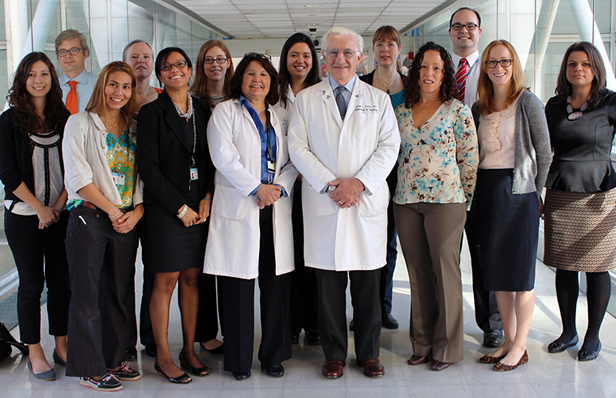 The Pediatric SMA Clinical Research Center, which operates conjointly with the Pediatric Neuromuscular Clinic at Columbia University, is organized according to a team model. 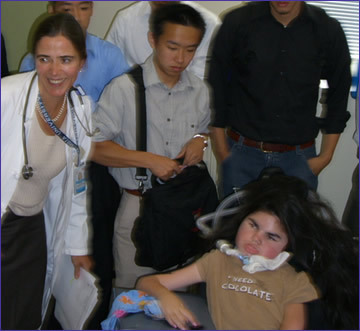 The clinic offers special expertise in SMA and other neuromuscular disorders, and provides access to highly skilled neurologists, pulmonologists, cardiologists, physiatrists, orthopedists, psychologists, nurse practitioners, and therapists who work collaboratively to deliver the utmost compassionate, high quality care to each of the patients we serve. Our specialized SMA Clinic has been established, with the generous support of the SMA Foundation. Clinical care at the clinic mirrors the published Standard of Care guidelines for Spinal Muscular Atrophy, Duchenne Muscular Dystrophy and related neuromuscular disorders. The Pediatric SMA Clinic is committed to providing comprehensive multidisciplinary patient care, supporting translational research into the cause and cure for spinal muscular atrophy, educating tomorrow's health care professionals, and reaching out to the community we serve. The SMA clinic offers expertise, education, resources, and guidance to families affected by SMA. We aim to facilitate access to state of the art comprehensive care by working with a network of specialists with expertise in pediatric neuromuscular disease. This multidisciplinary care will allow patients and their families to minimize trips to medical appointments. We will create a plan of care in a compassionate, child friendly environment with the goal of maintaining the highest level of independence and function possible. - What is New at the SMA Center? - SMA Patient Registry - Join today! Congratulations to the Neuromuscular Rehab Team on receiving the Multidisciplinary Research Grant from the CTSA. The team, compromised of individuals from the SMA/MDA Clinic as well as professors and students from the School of Engineering, will work to develop a device that allows children with SMA type I and II to be able to move more freely.